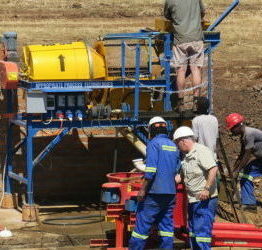 APT is inviting you to view a gold recovery plant on site as part of our 'One Minute On Site' video series. Through these on site videos we aim to show you what it is really like on a mine site and how APT's mining equipment operates in reality so that you have an idea of what to expect before you begin your mining venture. If you are looking to start mining or just want to see our mining equipment on site, stick around as we share these videos often. You can also view our whole video archive on our website here. For this gold recovery plant on site video, we are going back to our roots featuring a gold recovery plant that is part of our GroundBreaker range, the RG30. This wash plant unit incorporates the GoldKacha concentrator and GoldMasta sluice, for maximum gold recovery. In true APT style, we adopted a minimalist design, ensuring that the plant is simple to operate and a pleasure to run. APT's Rg30 is also available as a trailer plant, perfect for exploration purposes or sites where you need to relocate quickly. Contact us here for further information. For more time on site, view our videos here, we have everything from more of our GroundBreaker plants to our much larger TriTank cyanidation plants and more.